Since as early as 1981, AIDS was known to be a deadly disease. Even by 1983, the Centers for Disease Control (CDC) had begun a national hotline for AIDS. Cases of AIDS were being reported in almost every major city in the US beginning in 1982, but the national news media did not report on it until the following year. In fact, the New York Times did not make AIDS a front-page story until May 25, 1983. Similarly, the discovery of cyanide-laced Tylenol capsules in the Chicago area in October 1982 prompted a huge spate of press coverage. The New York Times covered the story every day of October, and then ran 23 more stories in November and December. In the end, seven people died from the capsules. By contrast, The New York Times published only three stories on AIDS in 1981, and only three more in all of 1982, none of which were on page one. Yet by the time of the Tylenol poisonings, 260 Americans had died of AIDS, and 374 more had been diagnosed. One person who was making AIDS a concern of reporting was Randy Shiltz, a journalist who was assigned to report on AIDS in San Francisco in 1982 for the San Francisco Chronicle. Shiltz was a member of the Gay community and had already written a powerful biography of slain Gay activist and San Francisco official, Harvey Milk. Shiltz relied heavily on early HIV/AIDS activists like Bill Kraus and Cleve Jones for information and came to the realization that AIDS was a disease impacting thousands and it was a story that outside of the Gay community was either unknown or suppressed. 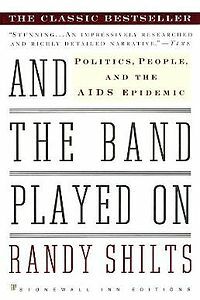 Shiltz eventually wrote his book, And the Band Played On, which chronicled the first half of the 1980s and the AIDS epidemic. The book was published in 1987 and spent 5 weeks on the New York Times Best Sellers list. By 1987, 20,000 had died from AIDS and despite the growing epidemic the federal government did not take any formal action until that year. Reagan did appoint the Presidential Commission on the Human Immunodeficiency Virus Epidemic in the summer of 1987; it was later renamed the Watkins Commission, after its chair. With the appointment of this commission, Reagan was able to appease those who demanded a more sustained federal response to AIDS. He also answered the concerns of the New Right by appointing an AIDS commission that included few scientists who had participated in AIDS research and few physicians who had actually treated people with AIDS. In addition, the commission included outspoken opponents of AIDS education, such as New York Cardinal John O’Connor. O’Connor was not only opposed to AIDS education, he was openly hostile to the Gay community. …..the panel was designed to be ”a cross-section of thoughtful Americans” rather than another medical or scientific group that would duplicate dozens of previous efforts. ”We intentionally tried to get people from a wide variety of walks of life, and took the risk that there would be disagreements and fireworks,” Mr. Bauer said. He also called it ”a good group” to deal with such issues as insurance coverage and care for AIDS patients and said he doubted that quarantines, school policy or casual transmission would become a major focus. 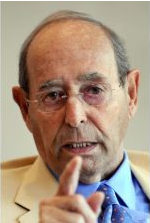 One of the people appointed to the 13-member AIDS Commission was Amway co-founder Rich DeVos. DeVos was chosen in part because he was one of the largest financial supporters of the Republican Party, but also because of his role in the Religious Right. In an interview with MLive a few years ago, DeVos made some pretty revealing comments about his attitudes towards the Gay community while sitting on the AIDS Commission. When HIV first came out, President Reagan formed a commission and I was honored to be on that commission. I listened to 300 witnesses tell us that it was every body else’s fault but their own. Nothing to do with their conduct, just that the government didn’t fix this disease. At the end of that I put in the document, it was the conclusion document from the commission, that actions have consequences and you are responsible for yours. AIDS is a disease people gain because of their actions. It wasn’t like cancer. We all made the exceptions for how you got it, by accident, that was all solved a long time ago. That’s when they started hanging me in effigy because I wasn’t sympathetic to all their requests for special treatment. Because at that time it was always someone else’s fault. I said, you are responsible for your actions too, you know. Conduct yourself properly, which is a pretty solid Christian principle. Not only does DeVos show his homophobic bias, his comments demonstrate his ignorance of the issues surrounding HIV/AIDS. 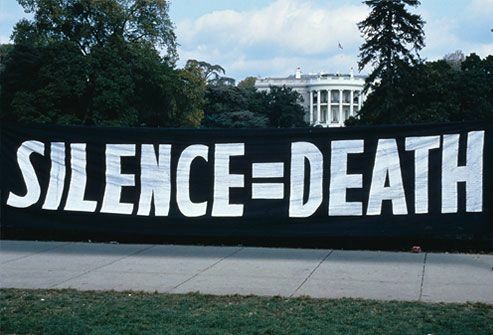 It was within this climate of homophobia and inaction on the part of the federal government that AIDS activism would take a new direction in 1987, with the creation of the AIDS Coalition to Unleash Power (ACT UP). We will explore the impact of ACT UP in Part III of this series. ← Why is Obama Silent Over the New Congo War? 38,000 people currently die per year in the US by accidental drug overdose… Sad to see parallels between this and early in the HIV epidemic.